The US administration is expected to push for a framework peace agreement to be agreed upon by Israel and the Palestinian Authority within one year, although it may be several years before it is fully implemented, according to the Yediot Ahronot daily. The newspaper claims to have obtained the information from the transcript of a conference call between Jewish leaders and US officials concerning the upcoming recommencement of direct talks. According to the document, Israel and Arab leaders would be expected to hold a series of dialogues over the coming months covering all final status issues, with US mediation on hand to help resolve any potential difficulties. The parties would then formulate an agreement which would be implemented in stages over a number of years. Quote: "The Yedioth Ahronoth daily has learned that the Americans will pressure the parties to sign a framework agreement for a permanent settlement within one year, but that the agreement itself would be implemented within 10 years. The American administration plans to invest every effort to guarantee that the direct talks between Israel and the Palestinians, which will be launched officially next Thursday, will end with an agreement rather than with a crisis, as in previous negotiations. Of course it's not the first time that the US has pushed for a so-called 'shelf-agreement', a legally-binding document that would be implemented in stages as certain criteria are met by both parties. The Bush administration had been pushing for the Olmert government to reach an agreement with the Palestinian Authority before the end of President Bush's final year in office. But Olmert's political incumbency coupled with the end of the Hamas cease-fire and a repeated hardening of attitudes within the Palestinian Authority prevented such an agreement being reached. This year the Obama administration is attempting to pull off the same feat, but it is extremely doubtful that the latest efforts will yield any better results. But this news is extremely interesting, in that the Scriptures do state that a future Middle East peace agreement shall be reached, which shall be strengthened over a certain number of years. The prophet Daniel speaks of a covenant that will be confirmed or strengthened by a world leader between many peoples for a period of time, not for ten years but for seven years (Daniel 9:27). 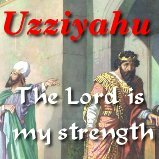 In the middle of this period of time, the land of Israel will be divided and east Jerusalem will go into captivity (Zechariah 12:2, Zechariah 14:2, Revelation 11:2). And this will trigger the greatest period of persecution the nation of Israel has ever experienced (Jeremiah 30:7, Daniel 12:1). The fact that the redivision of Jerusalem has been the focal point of world politics for the past 43 years proves to us just how accurate the Scriptures are concerning end time events. The Jewish people had to be in control of east Jerusalem in order for the city to be divided and Scripture to be fulfilled. The prophecies could not have been fulfilled before 1967. Today's news shows us just how close we may be to the fulfilment of these events. It's easy for us as Christians to look at what the Bible says concerning Israel and the last days, and to say that the Palestinians are all wrong and do not deserve a state of their own. While that may be true more often than not, we need to remember that God loves the Arabs and that Christ died for them too. Only when the Arabs recognize Israel's God-given position as head of the nations (Deuteronomy 26:18-19), will there be peace in the Middle East. Only when they see Jerusalem as the city of the Great King (Psalm 48:2), will they come into the blessing promised by God. And I believe this verse speaks of the believing Arabs who will join themselves unto Israel in the last days. You see, we were once like the Palestinians are today. We were aliens from the commonwealth of Israel and strangers from the covenants of promise (Ephesians 2:12). We were without hope and without God in the world. We were the enemies of God just like some of the Palestinians are of Israel today, and there was absolutely no way for us to be reconciled to Him (Romans 5:10). We were in the wrong. We were born on the wrong side of the fence. But a Mediator came. One who was able to bring righteous God and sinful man together (1st Timothy 2:5). One who was able to lay His hands on us both, bringing peace (Job 9:33). This is what the Palestinians need. And this is what we need. There is only one Man who can do this, and that is Jesus Christ. He was God manifest in flesh (1st Timothy 3:16). He had to be God, or He could not have offered a perfect sacrifice for sins. And He had to be man, or He could not have become our substitute when He died upon the cross (Isaiah 53:11). Praise God He is coming back, and He will bring peace to the Middle East and to the whole world (Isaiah 9:6-7). The question is, do you have this peace in your heart? If not, it is available for you today. Jesus Christ can forgive your sins, and bring you into a right relationship with God (Matthew 9:6). 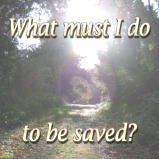 Why don't you trust in Him for salvation today and be reconciled to God.